By the early 1800’s Notre Dame was in a sad state. The local government thought about tearing it down. Then, in 1804, Napoleon decided it was the perfect place for his coronation, which gave the gave the old girl a new lease on life.. However it wasn’t till 1831 that Notre Dame was given a large public opinion boost. On January 15th 1831, Notre Dame de Paris was published. Hugo was commissioned to write the novel and its agenda was to increase appreciation of old gothic structures. Which it did and Notre Dame was given a restoration. And thanks to both Napoleon and Hugo (but mostly Hugo), Notre Dame is one of jewels of the Parisian Skyline. 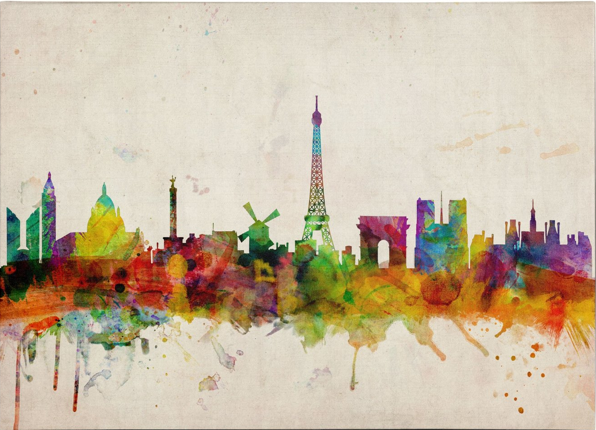 You can get the painting of the Paris Skyline by Michael Tompsett, by clicking here , It’s very pretty isn’t it?